OG thanks for the onion tip. Funny thing is that I always start my green bunching onions indoors from seed but buy sets for other onions. I grow onions in Mel's Mix. Will have to try what you said. Lunch desert today came right out of the garden. 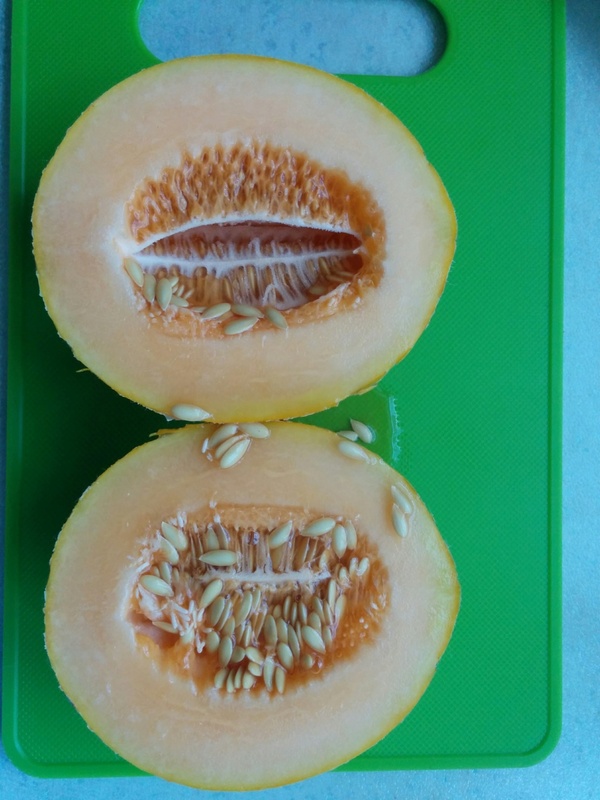 I planted two Hales Best Jumbo melon plants and they produced a total of one small melon. But it was very good. I call mine personal-sized cantaloupe. OH, good info for northern gardeners. 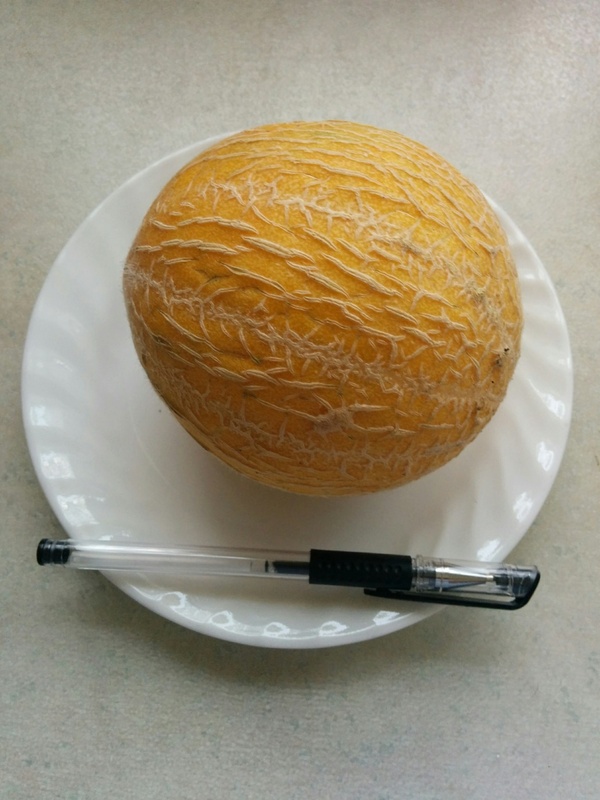 @sanderson wrote: I call mine personal-sized cantaloupe. 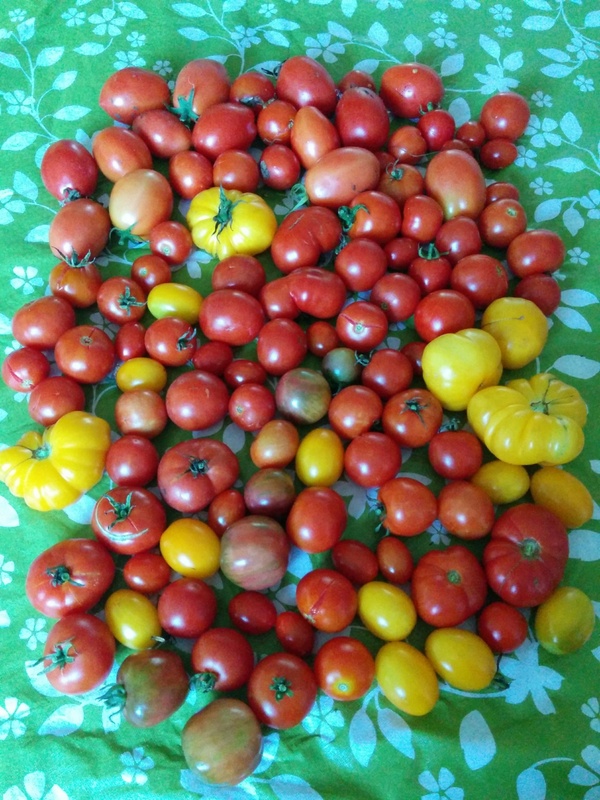 Another haul of end of season tomatoes. This group weighs in at 7lbs. Lots of green toms still on the vines. 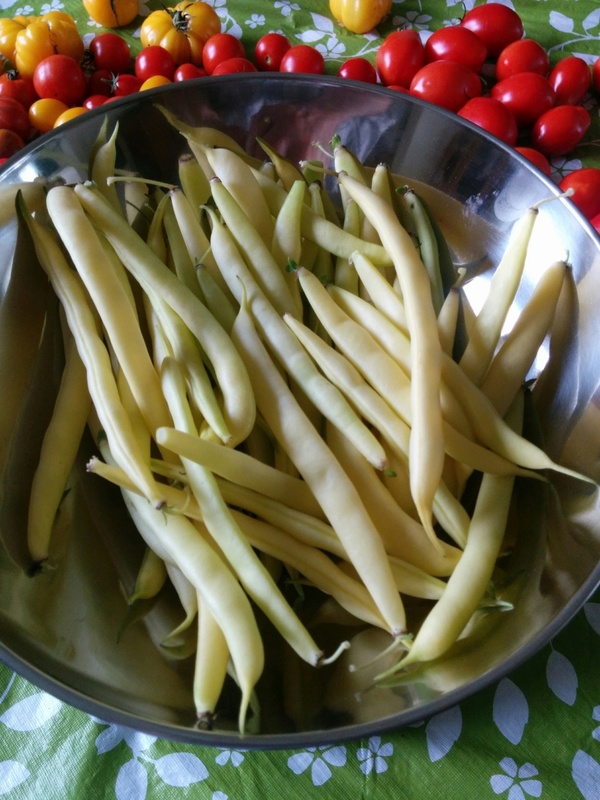 Just when you think the season is at an end, the golden wax bush bean plants in the SFG surprise with more beans. This group weighs in at about one pound. 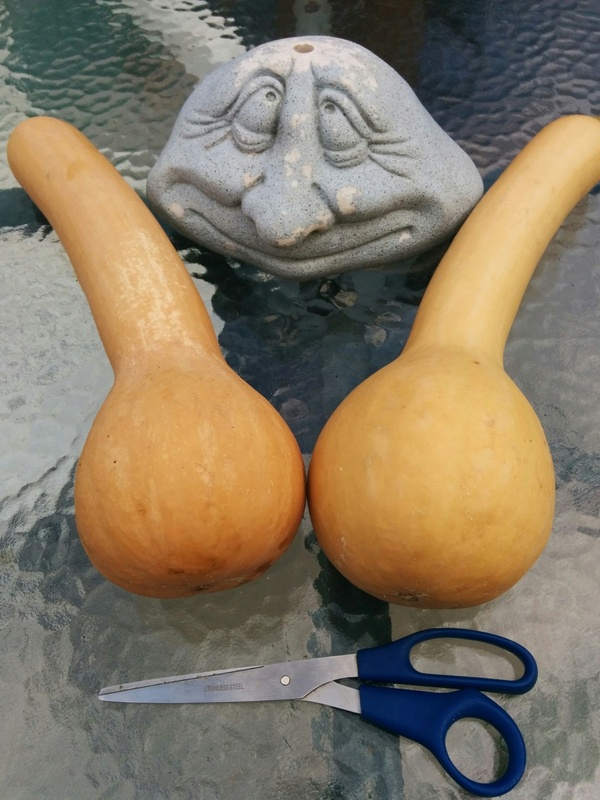 Harvested a couple of Canada Crookneck Winter Squash. Each one is 14 inches long and together they weigh a total of 5.5 lbs. We previously harvested six of these and there at least seven more to be brought in. Also found a new baby CC squash but it will probably run out of season before reaching maturity. Think what you may of the first photo. The last Acorn Squash was harvested today. 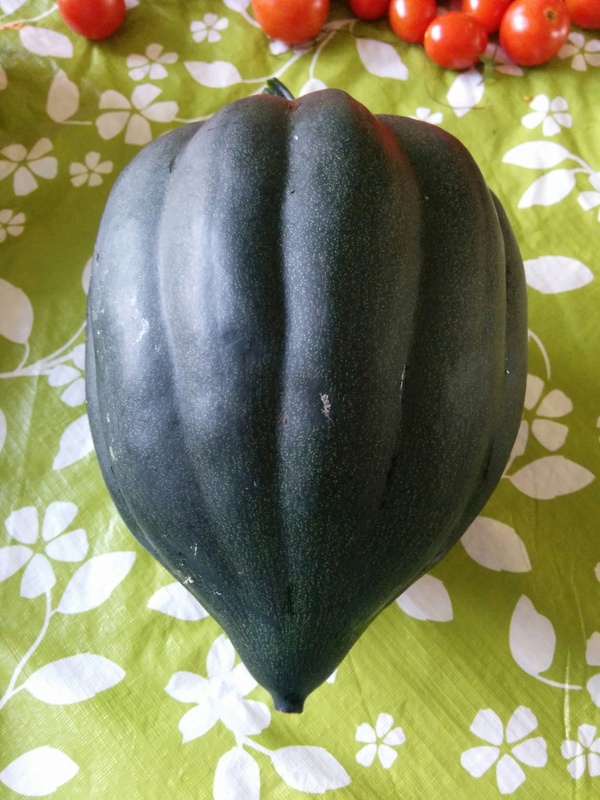 Our only Acorn Squash plant produced five nice squash. This one weighs 3+ pounds. Love seeing all of these garden goodies! @SFGHealthCoach wrote: Love seeing all of these garden goodies! 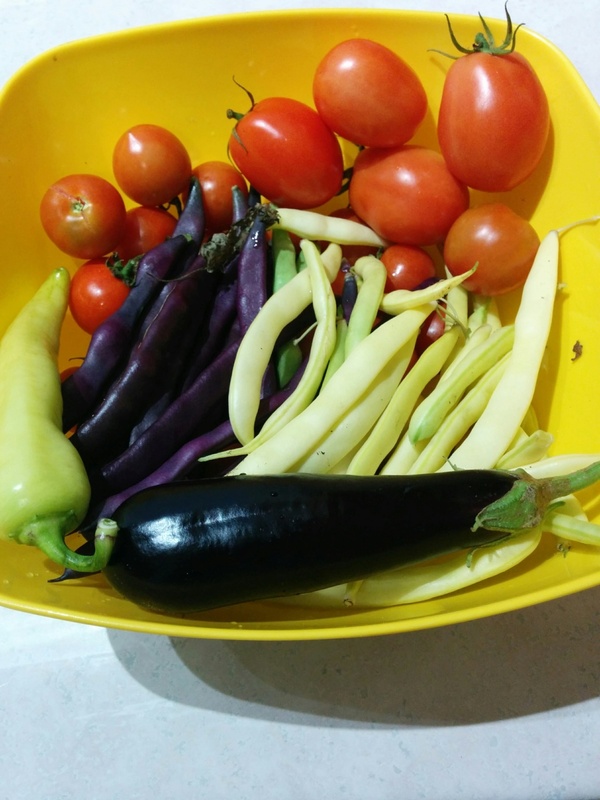 Still harvesting eggplant, peppers, tomatoes and beans. Your harvests look so healthy! And, I'm pulling up my tomatoes, eggplants and peppers! @sanderson wrote: Your harvests look so healthy! I will soon be pulling up plants and preparing the raised beds for a winter sleep. 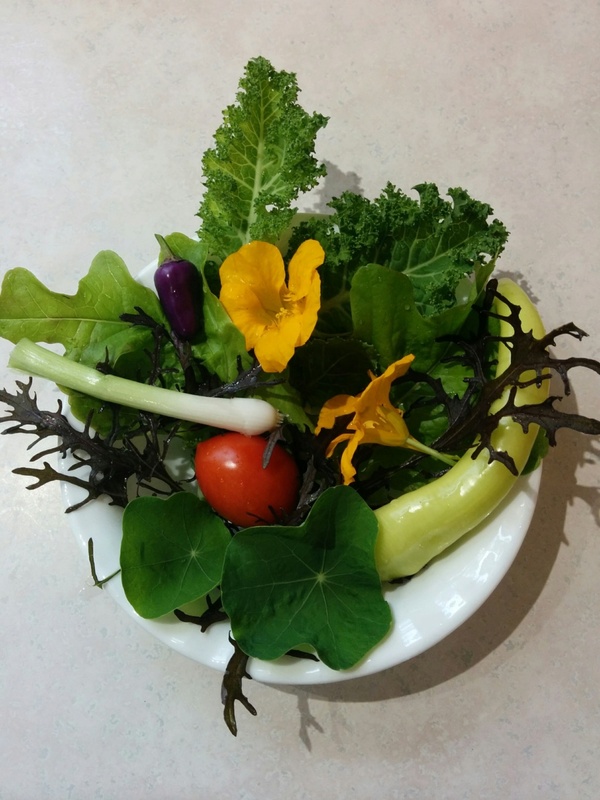 Collected a few things from the garden to make a salad (not shown in final form). The bowl contains two types oof lettuce, kale, nasturtium leaves and flowers, banana pepper, Chinese 5 color pepper, tomato, and bunching onion. I wasn't sure if the 5-Color peppers were edible. How hot are they? I just cut mine down. Pretty! Same here, gonna start clean up this weekend. 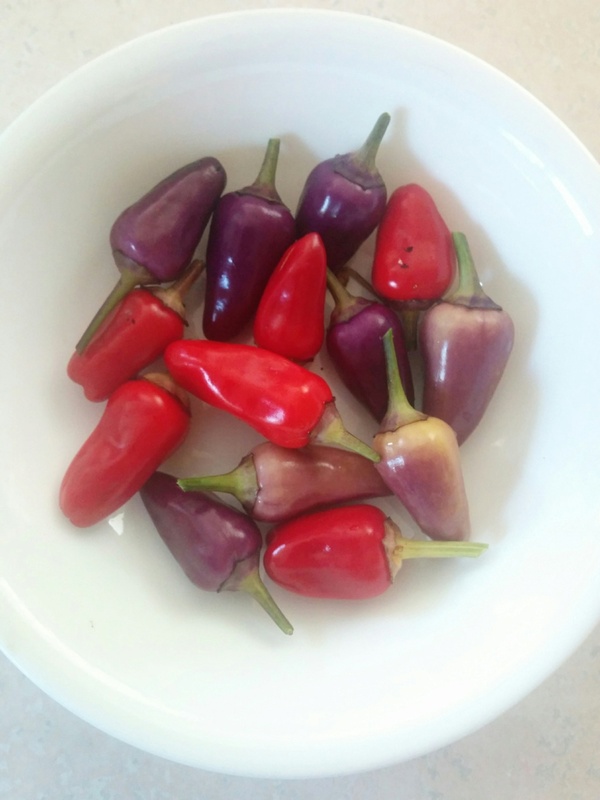 @sanderson wrote: I wasn't sure if the 5-Color peppers were edible. How hot are they? I just cut mine down. They are too hot for me. They can be eaten. Thanks for the info on the 5-Color pepper. So, you had hail and wind up in your area. How are you? Any damage? The majority storm ripped through the city and spawned at least one tornado that cut a 40 kilometre path. At our house it sounded like a train but we only got some high winds and rain. I thought we might lose megatrellis. We lost a power substation that feeds almost half the power to this city of almost a million people. I don't expect we will get power back for days. 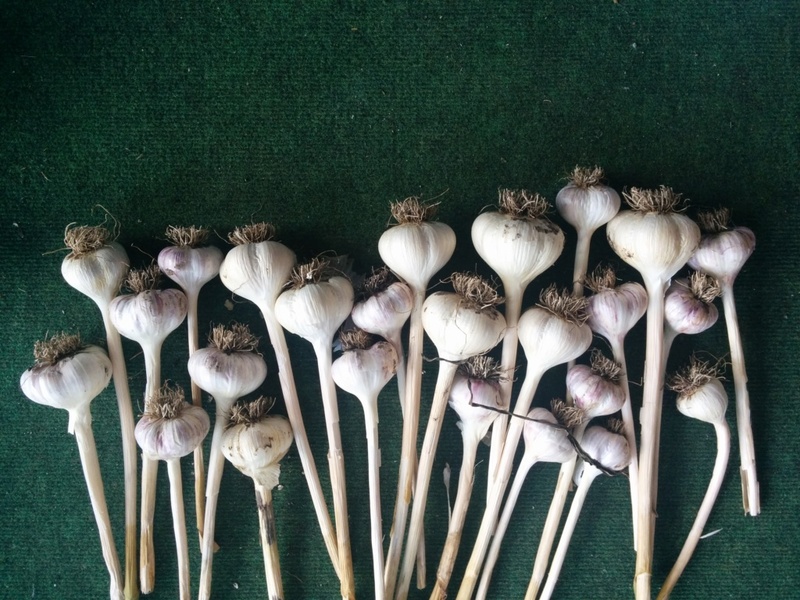 This is what remains of my earlier garlic harvest. We have already used some and given some to daughter and daughter-in-law. Not even a close call with a tornado can stop our veggie/fruit garden from producing. 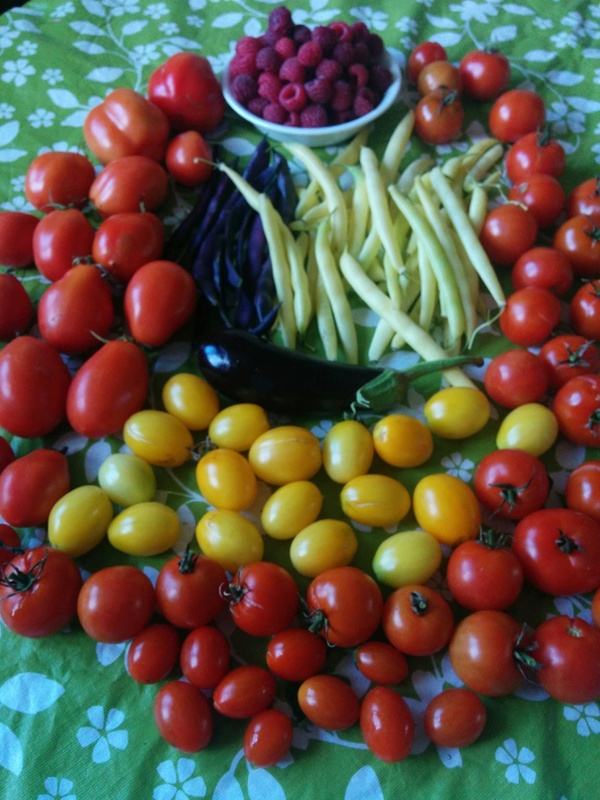 Presenting today's harvest of beans, tomatoes, eggplant and raspberries. 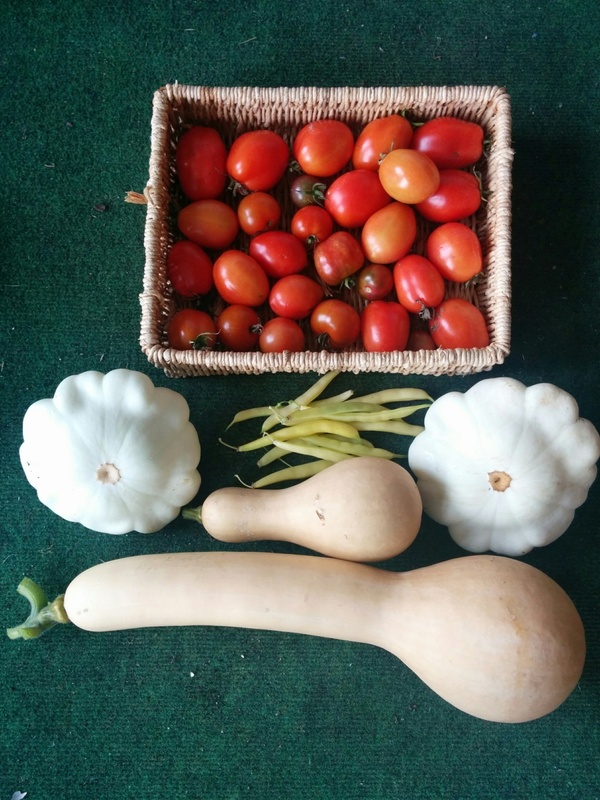 Today we harvested a handful of Golden Wax Beans, thirty Tomatoes (mostly Roma), two White Scallop Squash and two Canada Crookneck Squash. The large Canada Crookneck is 16 inches long and weighs 3.5 pounds. TD, Your harvests are picture perfect! Trolleydriver your harvest pics a fabulous. 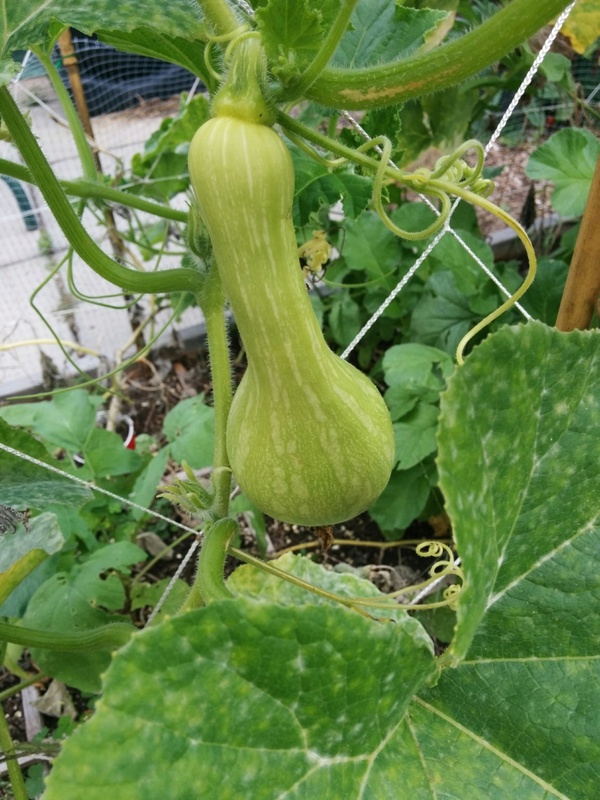 You definitely had a great year for squash! Hope the Canada Crooknecks make it to maturity. 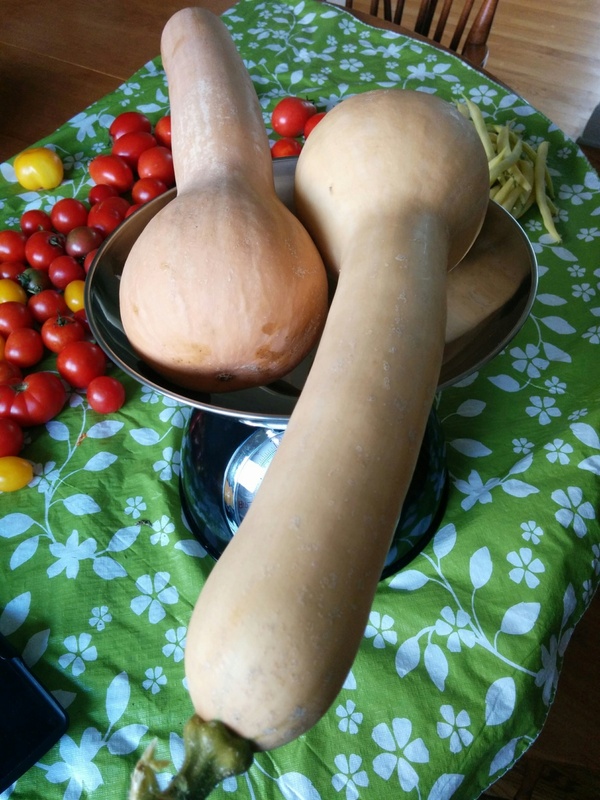 I have a Bush Butternut that fits in my hand but it turning. It must know it has limited time left. Chinese 5 Color Peppers from our SFG.